If you’ve been looking for a new hobby and chose music as one of your hobbies, I can guarantee you that you did a great favor to yourself. Learning to play an instrument – especially a guitar, is one of the best things you can do for yourself. You can use music to get away from the real world and if you are creative enough, you can use your thoughts and feelings and turn them into a nice song! 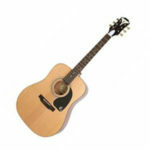 For that, you need an instrument such as an acoustic guitar. If you’re just starting out, you probably have no idea what to look for. You don’t have to worry though, because in this article we will list the top 10 best acoustic guitars for beginners. There are many types of guitars but usually, people prefer acoustic guitars when they are just starting out, because they are usually easier to handle when compared to electric guitars. 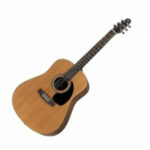 With acoustic guitars, you don’t have to worry about amps, pedals or any other equipment. Just take out your guitar, tune it and start playing your favorite songs. Have you ever wondered if you can have a smaller instrument which sounds just as fine as a guitar does but still has a different nag to it? An instrument that a kid can play on but also persuade an adult have fun with it? Yeah, you know what we are talking about, the Guitalele. 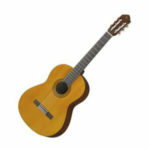 The Guitalele is a combination between the guitar and the uke, which results in a six-string hybrid. The guitalele was first made way back in 1997, proving that Yamaha was way ahead of the game, even though back then it wasn’t as much famous as it is now. Just as the most ukes and guitars, the GL-1 body is made from all laminated woods, a spruce top, meranti back and sides and a rosewood neck. The key thing about the Guitalele is that, despite having six strings, its tuning is designed to be made just as same as a standard guitar, the three strings from the top have the same concept as a uke has. Furthermore, Yamaha GL1 is a guitar with nylon strings, its size is 17inch, which means it is a perfect fit to take it with you to just about anywhere. Also with it being a shorter length guitalele, the tunning is suggested to be up a 4th, different from a standard guitar. This tuning allows you to produce all the usual scale shapes and chords you would on a normal guitar, but it also allows room for you to tune this lower if that’s what you desire. In conclusion, if you like the sound the guitar makes but also are persuaded by the majestic sound that a uke provides then you cannot overlook Yamaha GL1 Guitalele, its suitability of taking lesser space than a normal guitar and producing a bright snappy sound is fun and leaves you with an interesting all round experience, plus it’s a great guitar for kids! For the musician in you and the adventurous spirit you may want to set free, for the moments you’ll make the best memories out of and the moments people will remember you for, the melody you’ll make and the lesser space The Big Baby Taylor it’ll take. When it comes to guitars there are full sized guitars and there are travel-friendly guitars, Big Baby Taylor finds itself somewhere in the middle of this spectrum. Acoustic Guitars by Taylor are really popular amongst both beginners and professional guitar players. The advantages this guitar provides are countless, but we’ll try to characterize the most important ones. Aside from being convenient for traveling this guitar provides you with a buzzing volume and bass response. The body uniqueness of the dreadnought translates into a guitar that is smaller than the standard dreadnought you may encounter on the many standard-sized guitars, but nonetheless, it still maintains the richness of projection that a traditional dreadnought provides. Being a Taylor the construct gives the guitar a sense of polished looks and quality, and that is thanks to the top which is made from solid Sitka spruce, while the sides and back use laminated sapele. The neck is made of solid sapele, and the fretboard is made of genuine African ebony. The tonewoods of the Big Baby Taylor provide the player and the listener with an amazingly pleasant well-rounded sound. In conclusion, this guitar may not be as big in sound as a solid, full sized dreadnought, but the tone this Big Baby produces is very vibrant. If you’re still not convinced, read our Taylor Big Baby Taylor Review. The Seagull S6 is one of the most popular acoustic guitars out there – especially amongst beginners. When I first started playing the guitar, I asked my music teacher to recommend me an acoustic guitar I can use to learn the basics. He recommended the Seagull S6 without hesitating. Keep in mind this was over 10 years ago and i think that that answer is still relevant. What makes the Seagull S6 different from the other budget acoustic guitars is that its made in Canada. 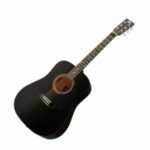 Most guitars in this price range are made in China, in large quantities. These guitars are usually trash and not worth buying. Considering its low price, this guitar has a pretty solid build. It has a pressure-tested solid cedar top which lets the guitar produce a beautiful tone that can be compared to some of the high-end guitars. The back & the sides are made of Canadian Wild Cherry, which means that its durability is great. It has a pretty wide neck, meaning that people with smaller hands might have some trouble getting used to playing this guitar. It’s head is a bit smaller compared to other guitars in this category, and that makes it easy to tune. Overall, if you’re just starting out and want to buy an acoustic guitar to satisfy your music needs, then do not think twice and go with the Seagull S6, because it will definitely give you everything you want. You can find more detailed information about this guitar on our Seagull S6 Review. Introducing Bristol BD-16 this amazingly crafted guitar is specifically created to offer that traditional sound of the mountains and its quality construction pleases even the most budget-conscious players at any level, be it a beginner or a veteran. The powerful chords and its pleasing harmonics give the guitar a well-rounded sound and quality tones which will have you entertained with it for hours. The Bristol BD-16 dreadnought acoustic guitar rocks that classic design with a glossy finish, even at this price point the company that crafted this guitar (Blueridge) made sure that they carefully handcrafted with the finest spruce and glossy mahogany tonewoods. Furthermore, this acoustic guitar provides the players with a slim neck which makes it way more comfortable when you’re playing for a long period of time, the fretboard also contributes to making the guitar as comfortable as possible for the player by making it almost effortless to jump between the frets. The warmth and the sound quality Bristol BD-16 acoustic guitar produces is thanks to its perfect intonation which contributes to making the notes sound richer and have more power, even though its price falls on the lower end, the sound of it can be compared with guitars on the higher price end. This is a perfect choice for anyone who’s a starter in learning how to play a guitar – it’s definitely a must-have in your collection. The Epiphone PRO-1 dreadnought acoustic guitar is the most well known acoustic guitar for its profile and is one of the models that Epiphone has been continuously perfecting since 1932. Dreadnought style guitars are well known for their powerful volume and their tonal range. Traditionally speaking the dreadnoughts are considered as BIG guitars and it’s difficult for new players to start learning new skills in these type of guitars and that’s where the PRO-1 comes in and changes this concept for the better. 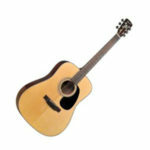 The PRO-1 features the traditional profile of a dreadnought and its tonewoods are made of spruce and mahogany but with a modification in the body depth which is slightly reduced, this is what increases the playability and makes it more comfortable for the player to play and hold the Epiphone PRO 1. The PRO 1 uses traditional tonewoods of mahogany for the neck and rosewood for the fingerboard, but with some altered innovative features that help the player reduce the hand fatigue. While the vintage or classic models have bigger necks, the EZ-Profile C shape which is designed to provide comfort fits easier in your palm and the scales are shorter which aids in making it easier for the player to learn chords and riffs faster. 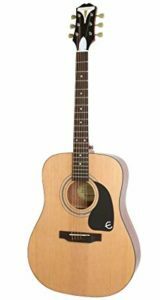 In conclusion, The PRO 1 Epiphone acoustic guitar is suitable and beginner-friendly for the future musicians who have just begun their journey and aspire of becoming skillful masters of their instrument. Just like any other product in the world, this guitar has its Pro’s and Con’s too, and you can see them on our Epiphone Pro-1 Review post. When you’re talking about the best selling acoustic guitar of all times, the Yamaha FG 800 name is bound to pop up. This well-rounded acoustic guitar which produces a qualitative sound with a firm durable build will have you pleased with the Yamaha manufacturers because you don’t have to spend as much money as you would on another guitar for your training classes you are going to take. 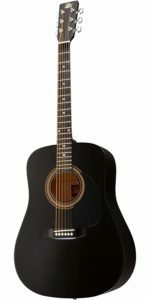 The Yamaha FG 800 acoustic guitar is very suitable for the newbies and the veterans will find themselves amused by its tonality and playability. The FG800 provides powerful quality and has the most vivid sound you can find on a budget acoustic which is all thanks to the dreadnought body it possesses. So, what makes this guitar a good option for beginners? First off, i would say the price. The price of this guitar is almost too good to be true considering the things it has to offer. They beat their competition in every aspect when it comes to value & price. 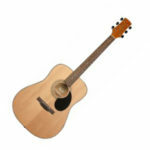 The FG800 has the usual solid sitka spruce top. It has nato back & sides, and a Rosewood bridge & fingerboard, meaning that it’s very easy to play. Sliding your hand on the Rosewood fretboard is very easy since it’s one of the best materials you can use when making fretboards. Overall, i would say that this guitar is definitely worth the money, and you get more than what you pay for. You can learn why in our full Yamaha FG800 review. The world is filled with cheap acoustic guitars and it’s a rare case that you find a decent guitar which delivers good quality and smooth playability. 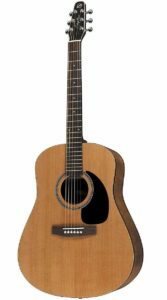 Rouge RA 090 Dreadnought acoustic guitar is an entry level guitar, for such a low-priced guitar Rouge RA 080 provides the players with a decent look that every guitar player would happily add to their collection. Whether you’re just starting out to learn on how to play the guitar or you’re an intermediate player looking for a steel-string to have fun around with. The Rouge creators outdid themselves to make this guitar as inexpensive as possible and it reflects when you take a look at the materials used to provide the guitar with structure and the body it needs. Rouge RA 090 is equipped with a fairly big dreadnought, and its body is made entirely with laminated whitewood, a glossy finish and the pickguard on the face is made of black. It also comes in different variety of colors, including natural classic look, sunburst, and black. The Rouge RA 090 neck is made of substantial nato, the fretboard is mainly painted maple as we mentioned in our Rogue RA-090 Review. As you may understand from the materials used to make this guitar you’ll come to the conclusion that this is not a very sophisticated acoustic guitar nor does it fall in the medium category of guitars but nonetheless it feels well put together and its durability will have you strumming it for a proper amount of time. Its life span may not satisfy the needs of every player but with a god string change, you may increase the durability and the playability of the guitar. Henceforth, The Rouge RA 090’s tone is rather bright than warm and it’s quite balanced, its sound punches above the weight it provides, the classic dreadnought body shape doesn’t lack vibrancy and power it’s great for practice, and jamming with your friends. 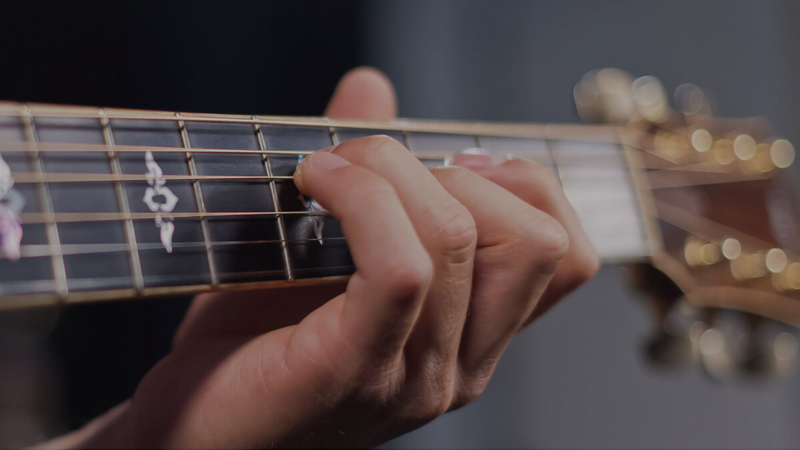 Fender has always been there when a beginner guitarist has started their journey of becoming a professional guitar player, Fender has successfully done so for a long period of time. Their beginner line of guitars has a long list, therefore, we present to you their newest model that hits the market at a low-end price. With Fender FA-115 you can say goodbye to the laminated top that is usually made for beginner players, Fender decided to step up and bring in quality in the new acoustic guitars so the instruments compliment the quality of the players. The new FA 115 rocks a solid spruce top. It’s as if dreams are finally coming true for all the acoustic guitar fans considering the price. Although some modifications had to be made elsewhere in order to provide the players with a firm wood top, the back is made of laminated basswood and same goes for the sides and back, a nato neck, and the fretboard is made of laminated hardwood. But that’s where the rock-hard spruce comes in and steals the show, it’s very strong, and it compliments so many styles of playing, it’s tone is bright with a diverse range, The difference between the other entry-level guitars in sound is definitely noticeable. Furthermore, this guitar is made to impress and surprise the player with a solid top and its dreadnought body style, you can be sure of the quality of acoustics are going to be vital, vivid and lively. However, you’ll be pleased to also hear the lower-end basses which add to this perfect combination of this acoustic guitar. I personally love this guitar, especially because of its looks (as i mentioned in my full review of the Fender FA-115). If low-end prices and extremely affordable acoustic guitars are your thing then look no further than the Jasmine S35. This acoustic guitar redefines the budget standards. Jasmine even though not as popular as other brands like Yamaha and Fender that also provide the market with affordable acoustic guitars, Jasmine knows how to contribute to the players when it comes to producing acoustic guitars with quality. Even though Jasmine offers quality acoustics, it’s not unusual to expect a sort of compromise when you’re looking for acoustic guitars that fall in the low-end of the price list. The length of the dreadnought body features a 25.5″ made from X-braced laminated spruce on top and laminated nato back and sides. The neck’s made from nato, and a reasonable rosewood fretboard which gives the guitar a very smooth look. This is not a very fancy guitar model but nonetheless, it’s an impressive guitar and a cool satin finish which compliments the durable build and playability. Even though it may not be expected much from a guitar in this price range, this is where the Jasmine S35 works its wonder, its tone is well balanced and the projection is loud and clear, you may not be able to rock a concert with this one but you can be sure that there’s enough power in it to rock your friends party or the camping trip you always wanted to play on, it’s suitability goes to the lengths of satisfying a beginner in the meantime it also gives a fun steel-string for an experienced guitarist to play around. We reviewed the Jasmine S35 in detail, just in case you wanted to read more. If you always wanted nylon-strings over the finger scratching steel-strings than Yamaha C40 is tailored specifically for your needs. With full-size nylon-strings, this classical guitar is bound to make the beginner’s journey way easier. The nylon strings help you keep your fingers less hurt and give you more time to learn the chords and play more with your guitar. The Yamaha C40ll is made to be affordable for the players who’ve just started taking classes or are trying to learn on their own. The main reason why it costs less is that it’s built from wood laminates, with a spruce top and Indonesian Mahogany sides and back, the neck is made from nato, the bridge and frets are made with a Javanese Rosewood. Yamaha is very well known and has been a trusted name in making classic guitars and that’s because they combine the old school methods with their innovative technology. The dynamic sound Yamaha C40 classical guitar provides leaves you with a satisfying feeling especially when you learn those few chords its durability and playability are few of the many reasons that set apart this guitar from other classical nylon-string guitars. The Indonesian Mahogany wood of its back provides a richer sound and it’s the spruce helps the guitar convey a slightly better tone. Yamaha guitars go under lots of quality checking tests to ensure the market of their high durability and stability. This Finely-crafted guitar provides great sound quality and leaves the player with a sense of easiness while playing, so it’s definitely worth the price and i would recommend it to every beginner!